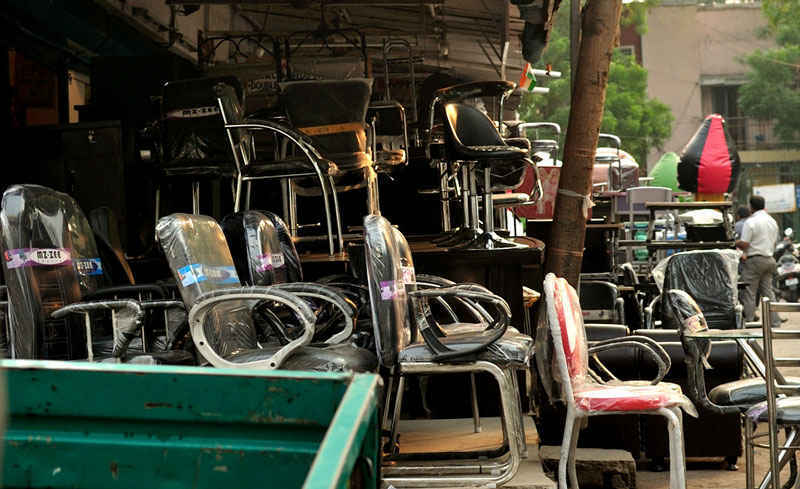 The Panchkuian Furniture Market has been the prime destination for buying furniture in Delhi at least since the 1960s. Originally, these markets were occupied by the settlers from undivided Punjab who had to migrate to Delhi after the partition. Initially they dealt in different items but eventually they started to concentrate and specialize in furniture by the 60s. Its prime location also helped in the growth. It is located just near the heart of the city, at a short distance from Connaught Place. Multiple generations of these traders have continued business in this market. The market offers a wide array of options including classical wooden furniture as well as cheap but convenient plastic items. Higher quality items are made on demand. Furniture made of steel and other metals are also available. But as you walk along the Panchkuian Road, you see a very few number of shops nowadays and even they do not look to be in a very good shape and there is a reason why. The market has faced a lot of odds over the decades. The prime location is its prime advantage as well as disadvantage. It is such a busy and important area that it is always under the scanner of the municipal authorities. Efforts to build new roads and bridges have always spelt trouble for the small traders here. The metro construction has also created difficulties for them. 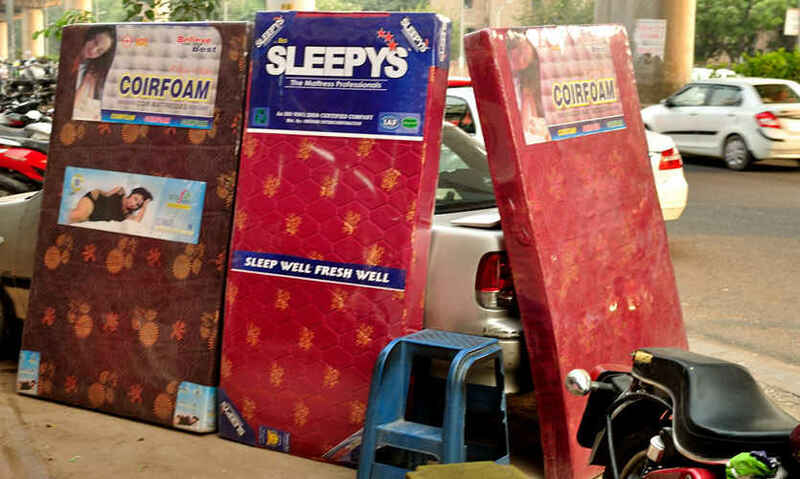 This has caused many of them to relocate to other locations such as the new and sprawling Kirti Nagar Furniture Market in West Delhi which has grown in size and prominence in recent times. The remaining traders were also asked to vacate the roads at one point of time and after a lot of struggle they were allotted slots in other locations in the nearby Gole Market and a newly constructed building nearby. 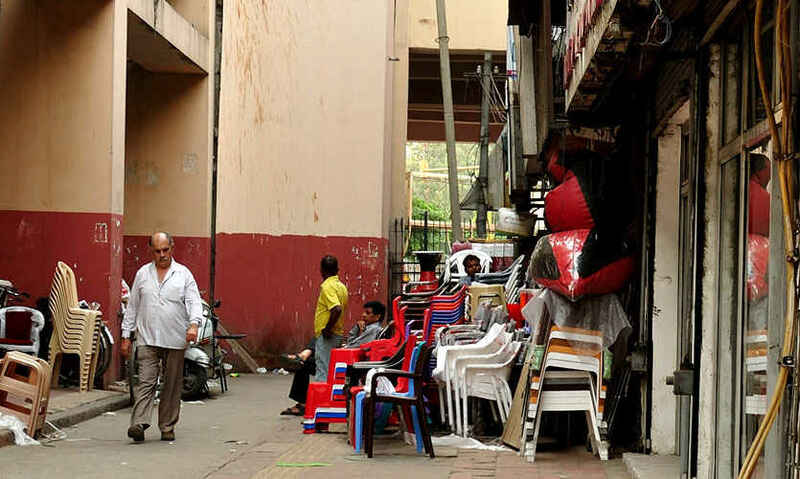 Originally there were close to two hundred shops in the market but now only a handful of them can be seen on the roads while some have moved inside the buildings and the rest have relocated altogether. The traders are not fully satisfied with the new allotments either as they think they are deficient of necessary facilities and also as they lack the visibility of roadside stalls. They also complain about the limited space inside those buildings. Nevertheless, they carry on while hoping for the situation to improve. The market is a bit scattered now. The original market is on the Panchkuian Road just under the Rama Krishna Ashram Metro or the Paharganj Metro. You can easily locate the furniture shops the moment you come out of the metro and look down on the street from the platform. The Gole Market is also nearby and should not be too difficult to locate. The market has lost some of its sheen but still remains a very useful and convenient place for your furniture shopping and you can find excellent deals at very reasonable rates. Come on by for bargain steals!